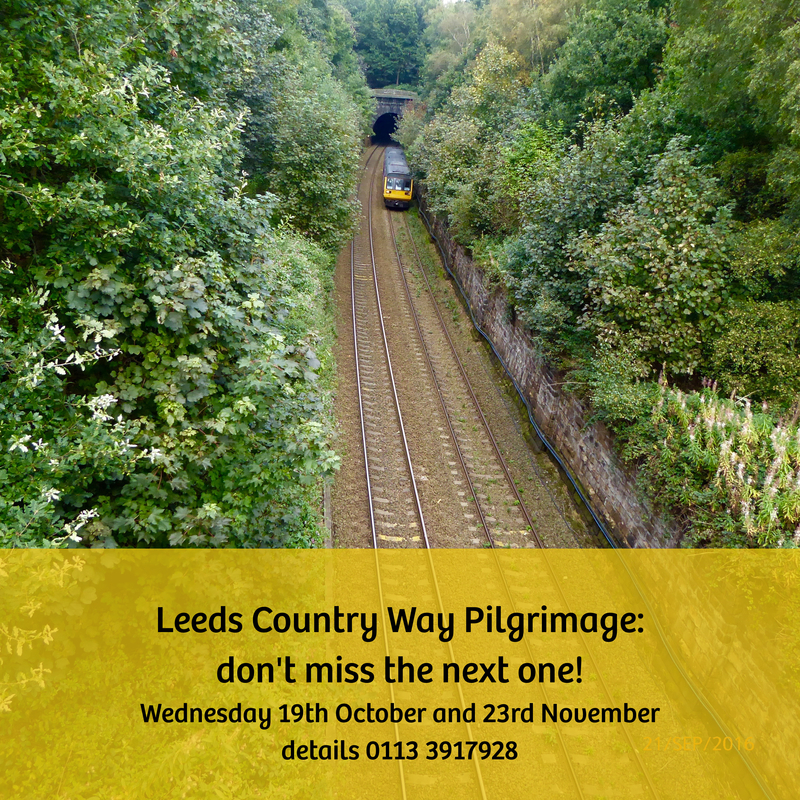 Would you like to share in a Pilgrimage round Leeds, walking the Leeds Country Way in sections each month for a year? Join us to walk, reflect and pray for Leeds – justice for its people and the environment. Our next pilgrimage will be on Wednesday 19th October and then on Wednesday 23 November. The pilgrimage starts at 11 and involves a four mile walk and a time to reflect together. Expected end time is about 2pm. Our next walk will begin at The New Inn at Eccup at 10am on 19 October and finishes with lunch at The Bingley Arms in Bardsey followed by a brief uphill walk to catch the X98 Wetherby bus back into the city centre. These buses go every half an hour, at approximately five minutes before the hour / half hour from the stop on the northern edge of Scarcroft. We are aiming to leave the pub at 1.30pm to catch the X99 bus at 1.55pm.